When it comes to styling a wedding or event, you’ll want to work with a trusted stylist who can transform your Pinterest-board vision into a reality. Styled by Varu understands this like no other. If you’re searching for an experienced stylist, we suggest you look no further than HOORAY! favourite, Styled by Varu. 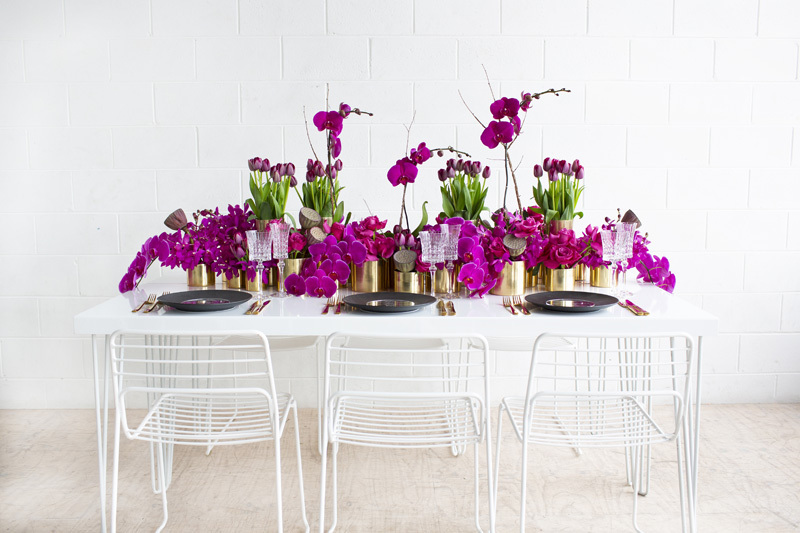 The team at Melbourne-based styling house, Styled by Varu, firmly believe that every aspect of your event should be personalised. Lucy and her team are dedicated to helping you create a meaningful and authentic experience that you and your guests will be talking about for years to come. We sat down with Lucy, the creative behind Styled by Varu, to discuss the ins and outs of life as an events stylist. 1. TELL US A LITTLE BIT ABOUT YOUR BUSINESS? Our business is predominately geared towards styling weddings. We guide our clients through the styling design process, offering unique ideas along the way or helping them create a vision they may already have in mind. 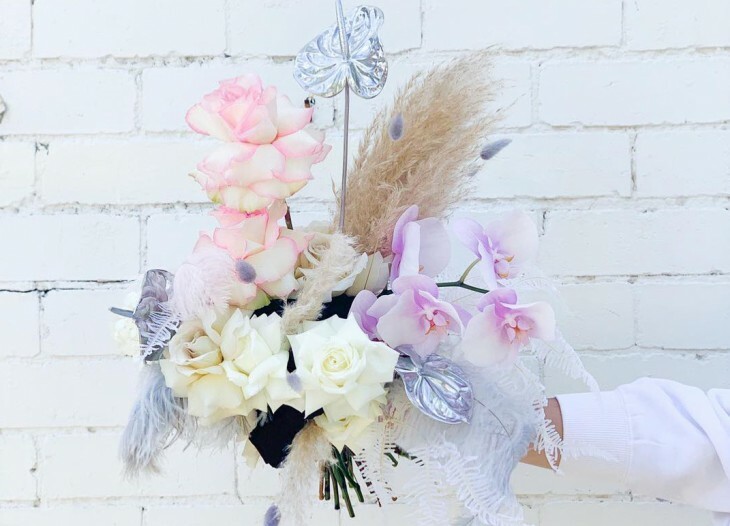 Then we’ll source all their styling elements from our network of top Melbourne suppliers and coordinate everything with the client’s chosen venue. We ensure that all the styling is completed on the day and manage all setup and pack down and answer any styling questions. 2. WHAT INSPIRED YOU TO START YOUR BUSINESS AND HOW DID YOU GET INTO EVENT STYLING? Before starting Styled By Varu, I worked in a fast-paced events role in an exclusive 5-star Melbourne hotel for eight years. During this time, I could see first-hand a local wedding styling market saturated with overpriced services only accessible to a select few. So, I set about developing a boutique wedding styling service offering high-quality service at an affordable price point. A typical day for us is contacting our couples and checking in – answering any questions the couples may have, discussing styling options, ideas etc – contacting suppliers and confirming orders, following up on couples that have made enquiries lots of emails and phone calls, sourcing new wedding products and trends, accepting deliveries, assist in designing stationary, networking/brunches/lunches, and having fun. 5. WHAT IS YOUR ONE ‘MUST HAVE’ ELEMENT FOR ANY EVENT? It is always the small touches that make an event, the things that show the couple’s uniqueness, what bought them together and love for each other. 6. WHAT IS YOUR MOST MEMORABLE PROJECT? This is a hard one as each wedding we do has a memorable moment, however, if we had to choose we would say a wedding we did in November. The ceremony was at Crown Aviary and the reception was at Aerial Docklands. The bride and groom put all their faith in us to put it together and trusted that we would make their day amazing. Not only were we happy but so was the couple, contacting us during the reception to let us know how much they loved what we had done and even including us in their speeches. It was all that we planned it to be, stylish, sophisticated, personalised and unique to them. 7. WHAT IS YOUR FAVOURITE ASPECT OF YOUR JOB? That we have been able to create the look our couples have requested, a look that is often unique and surprising. 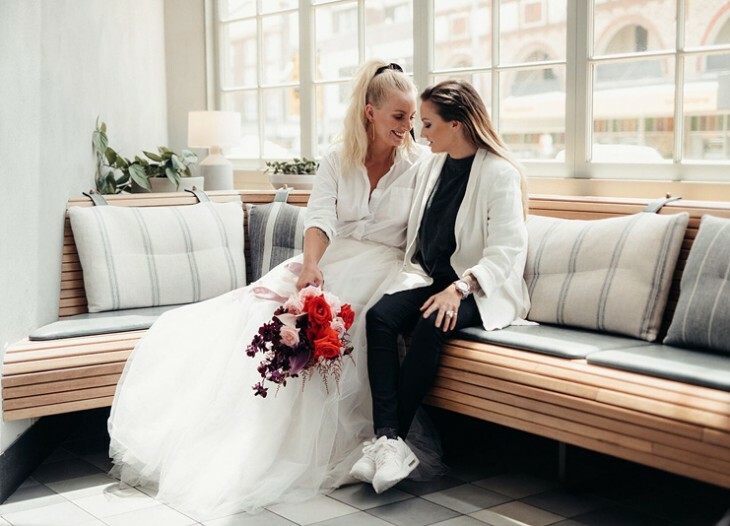 We love seeing our couple’s reaction on the day and hearing how much our help made their day, and to see that their wedding reflected the couples’ story, style and personality and knowing that we created something meaningful and authentic that they can treasure for a lifetime. 8. ANY UPCOMING TRENDS WE SHOULD KNOW ABOUT? No more gift registries and wishing wells, it is all about donating to their favourite charities. This is also something the bride and groom are doing as their bonbonniere, they are making a donation to their chosen charity on behalf of the guests. I am hosting friends and family at any time for any occasion, any excuse. Want Styled By Varu to style your wedding? We don’t blame you! You can contact Lucy at hello@styledbyvaru.com.au or check out her website, www.styledbyvaru.com.au.